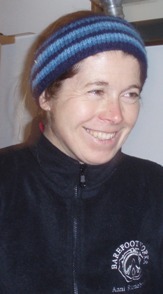 I have spent over twenty years learning from horses as a trainer, hoof carer and saddler, and twelve years working with people as a psychologist, Performance Manager and Head of Research for a community interest company. 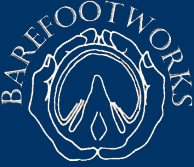 I am a Certified Hoof Care Practitioner (UKNHCP), a Field Instructor for the Equine Sciences Academy, and the originator of Barefootworks - the first UK barefoot hoofcare co-operative, which has been my main focus since 2006. I have practiced barefoot hoofcare since 2000, and I am a qualified saddler and saddle fitter, working for Lavinia Mitchell Saddles. Low Level Laser Therapy (THOR Laser) is a useful additional tool that I can offer to assist with healing and recovery. In 2012 I co-founded Dinnet Equine Herd Project (DEHP). DEHP is a co-operative aiming to explore an alternative way of horse keeping that is ethological, practical, co-operative and economical for the UK. The project aims to enable domestic horses to live in a natural environment, but to maintain and develop human connection with the herd. The domestic horses in the herd are benefiting from being enabled to express a wider range of behaviour than is typically possible in most domestic UK horse keeping situations. We still ride many of the horses, but when they are not with us they can forage diverse plant species, move over varied terrain, and interact with a mixed gender herd http://www.facebook.com/DinnetEquineHerdProject. "I believe that living with horses is all about self-awareness and listening. Confidence, elegance, creative expression and energy are all things we can share with our horse, and are directly related to their comfort and our mindfulness of the things we do as professionals and horse guardians. Listening energy in ourselves is crucial to satisfying and successful riding and horsemanship. In the same way, it is critical to develop good observational skills, never stop learning, and have up-to-date knowledge and experience to make effective decisions as a hoof carer, saddler or trainer". My aim is to help horse owners assure the physical and psychological health of their horses through providing a uniquely holistic support service in barefoot hoofcare, saddle fitting for Lavinia Mitchell Saddles, and horse and rider training. "I am lucky enough to have spent time with some astounding trainers over the last twenty years. Each day in my practice I see how balanced feet and intelligent saddling and training can integrate to help horses stay healthy for longer. It is totally appropriate to take the horse as a whole." 2002:	Assertive Communication Skills course, John Matchett Ltd.